For brands Facebook organic reach getting the lowest in the last couple of months? It’s definitely a worry whether you are an established name or is on the verge of becoming the one. Facebook is an easy-to-win marketing platform where increasing the organic reach score is comparatively difficult than other platforms. And, several brands even fail to get the lowest reach possible. Do these brands are unaware of strategies to increase Facebook organic reach? And, if they know then why they’re not able to channelize it. Leaving all these speculations behind, make out these tips to increase your Facebook organic reach and grow the audience base. Facebook is not just a one-to-one platform; rather you can create a community or get into an established one. When you’re looking forward to use Facebook for growing the numbers of audiences, you consider Facebook Business Page. And, before asking your audience to follow your business page, ask yourself, why should they do this? Remember, if your users don’t get any reward for hitting the Like button, most of them won’t bother in the first place. You may give reasons to your audiences to hit the “Like” button, but one ensured way to amplify Facebook community is by creating a hub for discussions. You can achieve this by initiating weekly chats, Q&As, playing contests and using other creative methods. If you want consumers at your desk, you need to offer them unique and useful things. This means you have to be active, keep offering new topics of discussion and work on the community aspect. Building community on Facebook is a great way to help your brand get noticed organically. Gathering initial audience for increasing Facebook organic reach may be the toughest job to do. But, what to do after building the initial audience for increasing the organic reach? You should consistently remind your audiences on other platforms about your Facebook presence. You can initiate with knowing your Twitter, LinkedIn and Instagram audiences to know your Facebook business page. Apart from Twitter and Instagram, you can also make your site actionable. Add a Like button to your homepage and experience the wonders. Don’t worry about the overhauling of your website. To make this idea happen, try posting on the platform which has a larger audience and reminds users you’re on Facebook. To add more power to your Facebook page, take help of social media influencers. These experts can bring reliable traffic to your Facebook page adopting the right strategy in place. MuseFind says “92% of consumers are more likely to trust a social media influencer over an ad or celebrity endorsement”. This may not be the righteous way to increase organic traffic as influencers also have a price tag for their work but can be a potential way to funnel customers. You can use tools to find influencers of your importance. 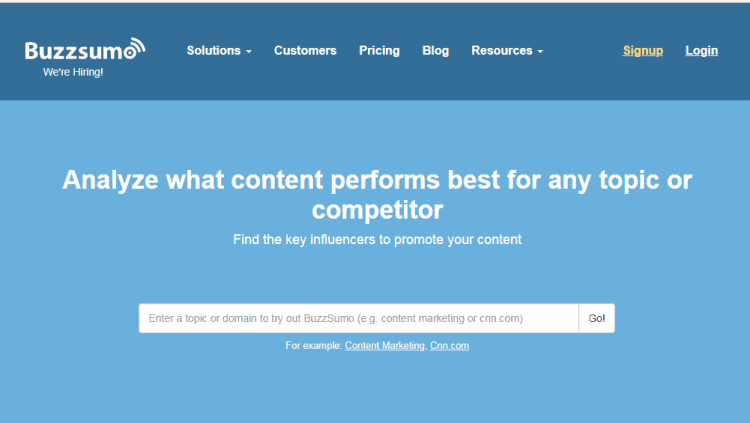 BuzzSumo is the right place to locate, and analyze competent & non-celebrity influencer in your industry. There are other tools as well to do this and one prominent name is LinkedIn. It has a wide range of professionals that can turn out to be a great influencer for your purpose. If you’re keen to promote on social media, especially Facebook, you need to pick some important things. One of the important aspects for getting high traffic on your Facebook page is the “time of posting”. If you have conquered this aspect, no one can stop you from getting immense traffic that is organic. There are some studies done that will help you know the “time to post” on Facebook. If we consider this as a fact, then what should be the right time and day to post on Facebook? Thursday is the most recommended for the post. The most active time is 12 to 2 PM on Wednesday and from 1 to 2 PM on Thursday. The safest time to post during weekdays is 10 AM to 3 PM. The least recommended day to post is Saturday and hours are evenings or early mornings. You should use different paid ad channels for Facebook. This means you have to add paid strategies to a winning Facebook marketing plan. Don’t depend only on organic Facebook methods as you may miss out opportunities to increase your audience number. Although, if you don’t consider the “organic” point in your strategy, your Facebook Business page may get boring for your followers. Facebook advertising may be a little bit pricey for some brands, but organic content can get you best result in the future. Organic content helps you know the demands of your customers and you can use the same content strategies for paid ads. Use A/B testing on paid and organic channels, both. Facebook is the ultimate marketing platform where organic traffic plays an important role in boosting business sales. But to have high organic traffic and a large number of audiences, you need to pick some strategies and ways to bring that on your Facebook Business page. Above-mentioned tips will help you bring high traffic in a natural way.